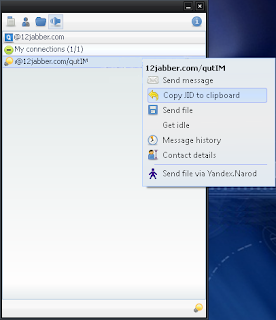 qutIM is an open-source multiprotocol ( ICQ, Jabber / GTalk / FaceBook / Ya.Online / LiveJournal, Mail.Ru, IRC ) instant messenger. Furthermore, qutIM can be easily customized by every user, including creating personalize soundpacks. Just select a sound for each event in a Sound section of the Configuration dialogue of qutIM. Then, click Export and save .xml file in some folder.